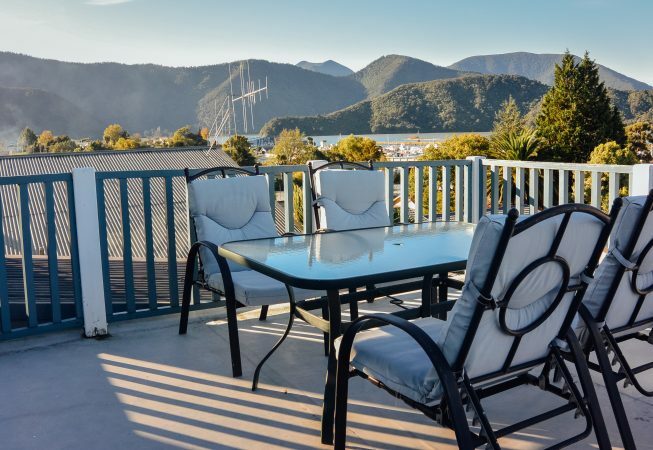 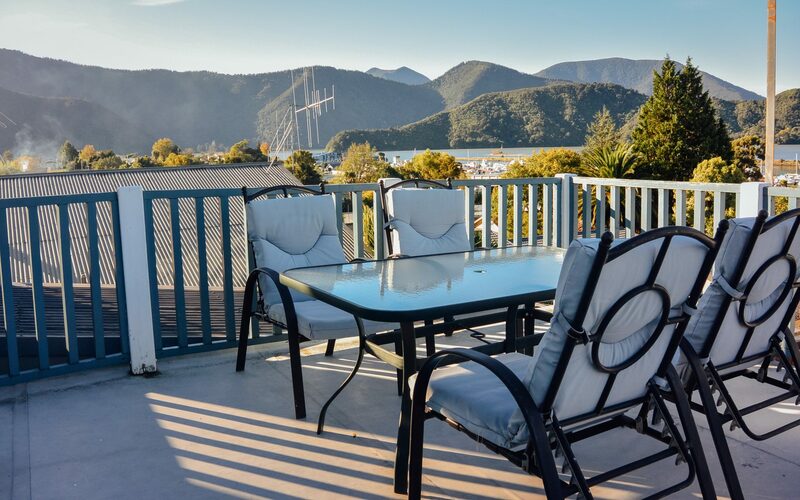 Self-contained apartment with kitchenette, spa bathroom and large balcony overlooking the Sounds. 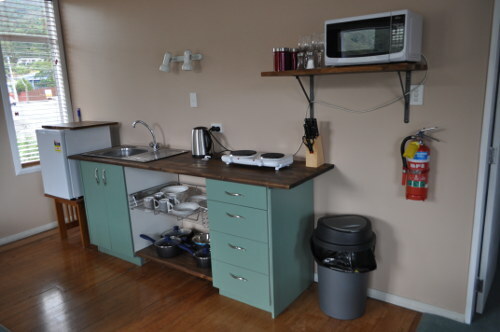 The fully equipped kitchenette provides a cooktop, microwave, fridge, electric kettle and free tea, coffee and sugar. 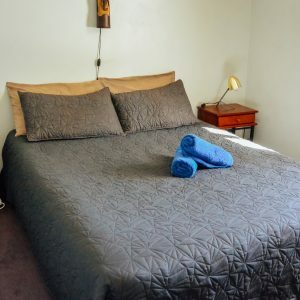 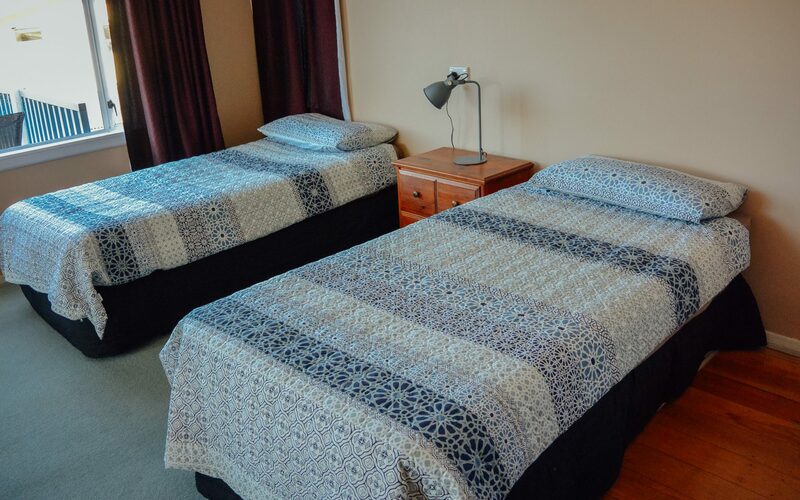 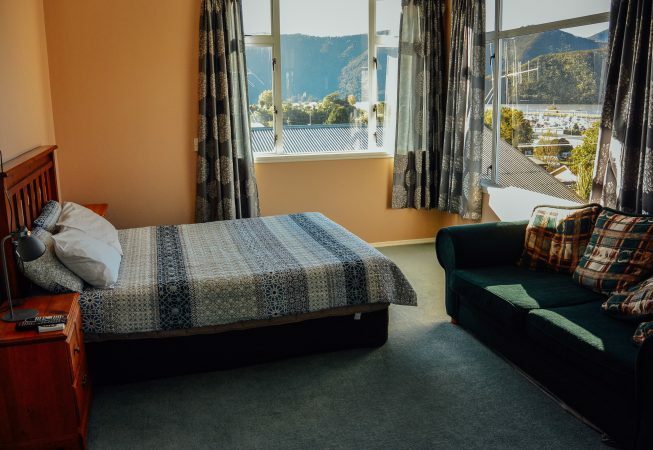 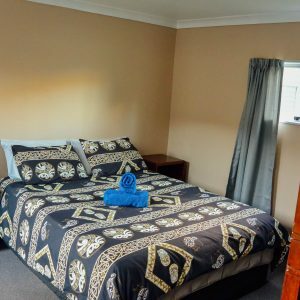 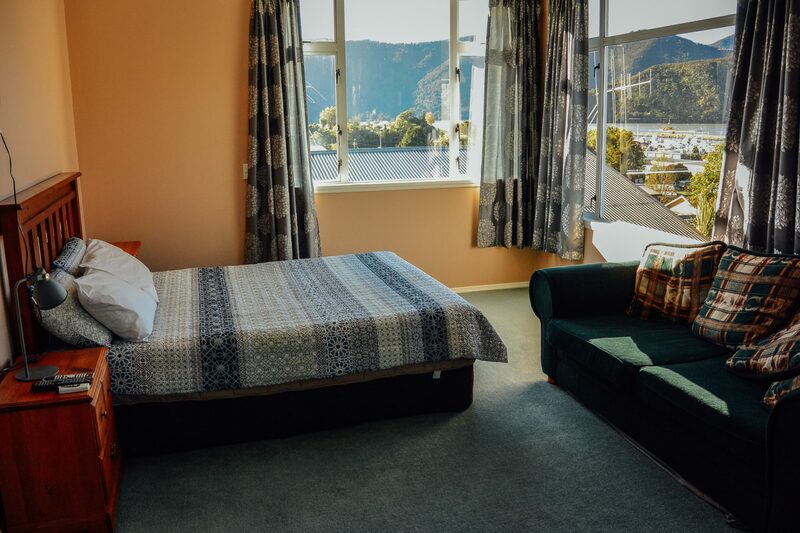 The apartment is suitable for up to four people with one double bed and two single beds. 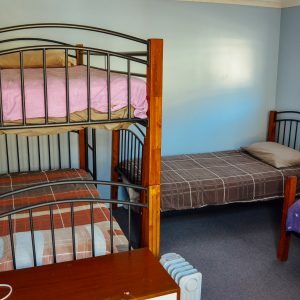 How ever there is a pull out double couch if you dont mind a squeeze suitable for 2 people. 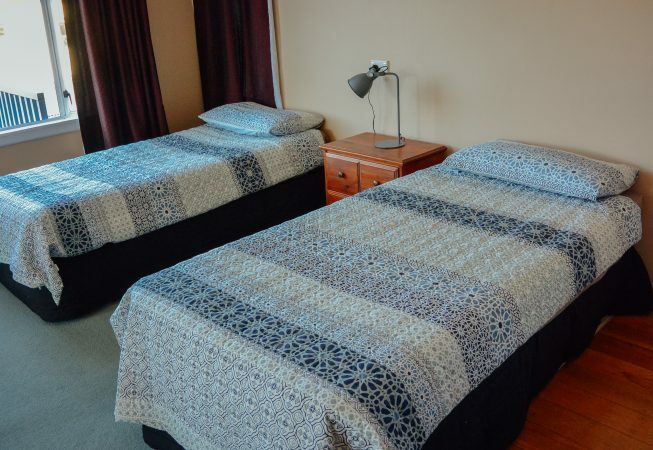 The beds are made up with sheets & duvets. 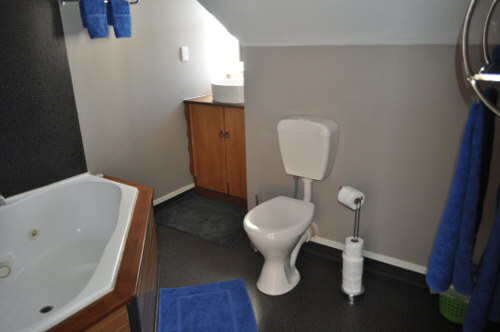 Towels and toileteries are provided.